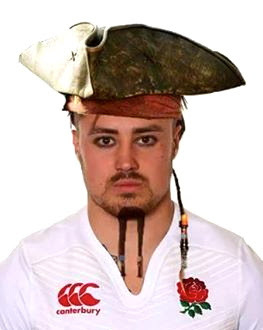 The suggestion by Eddie Jones that he is considering playing Exeter wing Jack Nowell at openside flanker has to be mischief-making of the highest degree. And yet the England coach's comments have clearly had the desired effect, as the national media are lapping it up, apparently taking Jones at face value. It's pretty clear to me that he's just taking the piss. After all, there is no way on earth that he would seriously contemplate selecting a player at flanker at international level who had no experience whatsoever of playing the position, having played all of his rugby at wing or fullback.